New Delhi, 20th February, 2018: Walmart India, the wholly owned subsidiary of Walmart Inc. has been certified as a Great Place to Work by Great Place To Work® (GPTW) Institute and recognized one among Top 10 Best Workplaces in Retail, 2018. The recognition is based on an assessment of employee ratings of their workplace culture, including the level of trust they feel towards leaders, the pride they take in their jobs and the camaraderie they experience with co-workers. Speaking about the recognition, Krish Iyer, President & CEO of Walmart India said, "We are very proud to have earned a place in the list of Great Place to Work and most importantly being recognized among Top 10 Best Places to Work in Retail in 2018. This is indeed a huge recognition and validates that culture is our `competitive advantage'. Creating an inclusive, respectful, high-performance culture is the foundation of everything we do. It's how we deliver superior member service, create a great front-line work environment and improve performance in order to achieve our common purpose of saving people money so they can live better. I take the opportunity to thank all our associates who are passionately upholding the culture everyday through actions and behaviours. He further added, "Diversity and inclusion is an integral part of our business and culture. We ensure that our associates feel valued and respected. We hire, retain and develop the best talent by creating an environment where each and everyone has the opportunity to make a difference. Our programs and policies help us create shared value and prosperity through education, inspiration and opportunity. " The assessment involved an objective methodology of assessing workplace culture, using GPTW's globally validated survey instrument known as Trust Index© and by conducting the Culture Audit©. 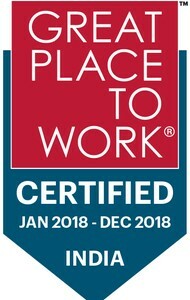 As part of the assessment, GPTW Institute assessed Walmart's people-related management practices using Great Place to Work® People Practice Culture Audit© Framework and measured the perceptions of associates using Great Place to Work® Trust Index© Employee Survey. Walmart India was recently recognized among 'The 2017 Working Mother & AVTAR 100 Best Companies for Women in India'. The final list of top 100 companies was compiled from the `The Working Mother and AVTAR Best Companies for Women in India Study 2017'. The study was conducted to identify companies with the most favorable policies and practices to promote employment, retention and increasing participation of women in the workforce. Wal-Mart India Private Limited is a wholly owned subsidiary of Walmart Stores Inc., the world's leading retailer renowned for its efficiency and expertise in logistics, supply chain management and sourcing. Walmart India owns and operates 21 omni-channel Best Price Modern Wholesale Stores and a B2B Fulfillment Center in 9 States across India. The Best Price Stores offer best prices with unmatched convenience, choice, quality and hygiene with the mission of "Enabling businesses to prosper...every single member". To enter and purchase from Best Price stores, it is mandatory to become a member. Members can belong to different business categories such as Resellers ('Kirana Stores'); Offices and Institutions (O&I); and Hotels, Restaurants and Caterers (HoReCa). Additional information about Walmart India can be found by visiting http://www. wal-martindia.in and on Twitter at @walmartindia.